One of the greatest aspects of college football is its fans. From coast to coast, college football fanatics are some of the most passionate people in the world. They live and die with what their teams do on Saturdays. 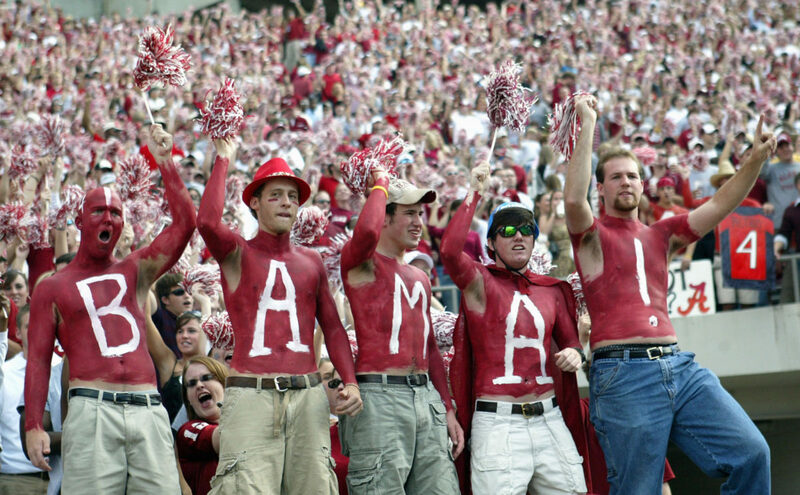 College football fans are (by and large) great, but not all fan bases are created equal. Some are of the dreaded “fair-weather” variety, only coming out of the woodwork when their teams are in the middle of a hot streak or a good season. And then, on the other end of the spectrum, are the die-hards. These particular groups of fans will ride with their beloved teams through thick and thin. For many of them, there are far more good times than bad, but they aren’t going to jump off the bandwagon if adversity hits. We decided to try our hand at ranking the fan bases that stick by their team the most. No casual fans here. We start our list in the Pacific Northwest. 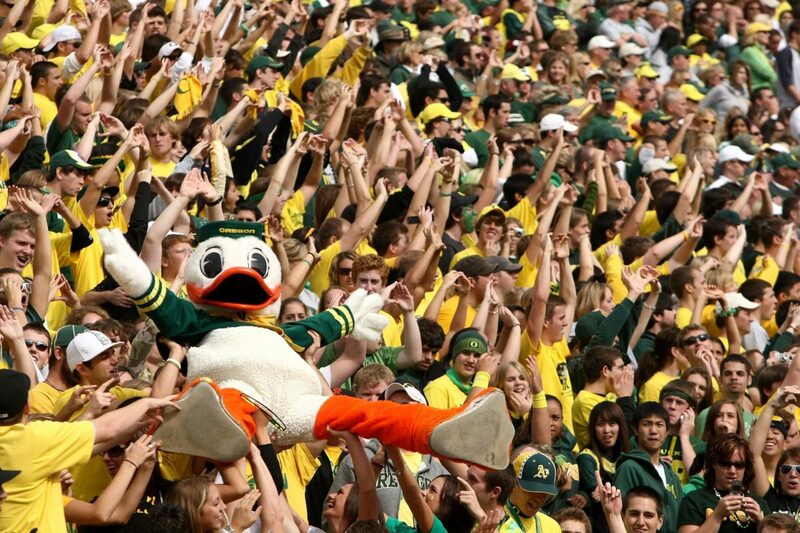 The Oregon Ducks are quite the draw and have established themselves as a legitimate national force. Autzen Stadium is one of the most intimidating road venues in the country. The capacity is only in the mid-50,000s, but every fan is loud and loyal. The Ducks are on their third coach in three seasons. They took a step back in 2016 under Mark Helfrich and a step forward last year under Willie Taggart. Now Mario Cristobal gets a crack. The Hawkeyes are a consistently solid, dependable program in the Big Ten. Their fan base embodies those characteristics as well. Iowa consistently ranks in the top 25 in attendance. Kinnick Stadium is packed on a weekly basis. Oh yeah, the Kinnick Wave is absolutely awesome too. The Longhorns are still stuck in a funk in terms of winning games. Texas hasn’t won 10 or more games since 2009. That hasn’t stopped fans from showing their support. 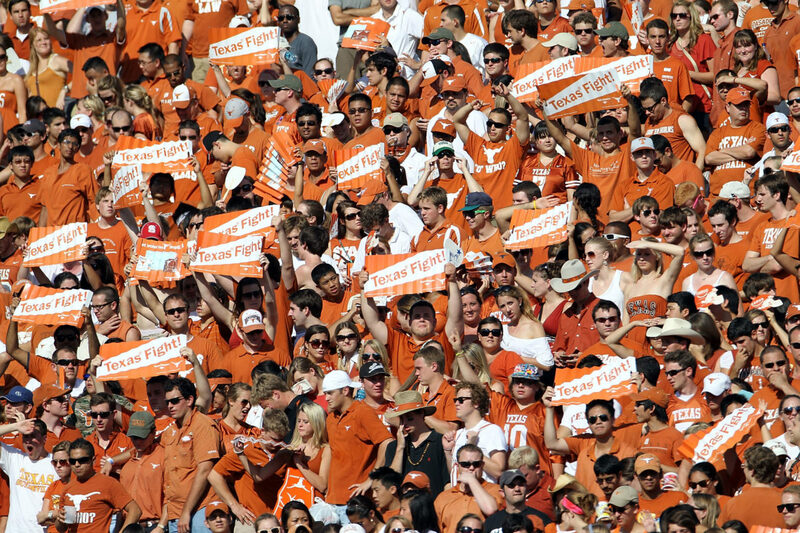 Texas ranks in the top-10 in home attendance and the top-12 in all-game attendance. Football in Texas is a secular religion. Texas fans will continue to worship their squad, at Darrell K. Royal-Texas Memorial Stadium and beyond. You could argue that Vols fans are too low on this list considering they just led a social media revolt that A.) prevented the program from hiring Greg Schiano and B.) essentially led to the dismissal of AD John Currie. That’s a lot of power. Butch Jones had multiple nine-win seasons in Knoxville, but his lack of progress resulted in his ouster. The Vols are still searching for someone to get them back to the glory days of the 1990s and early 2000s. 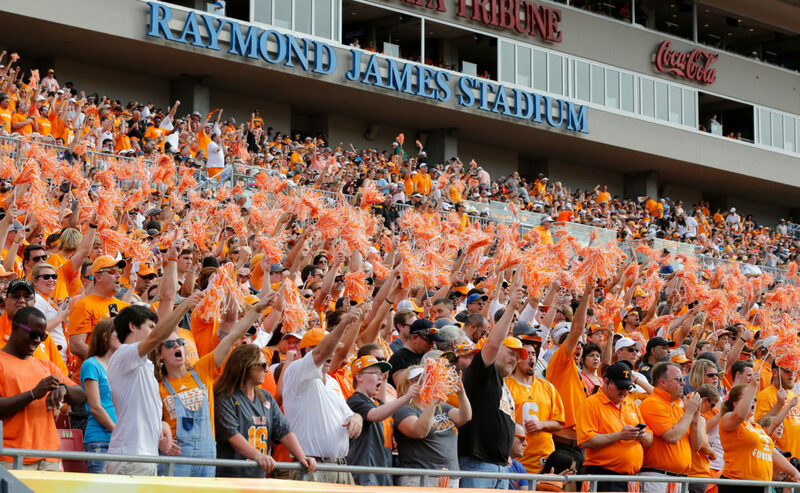 In the meantime, the thousands of orange-clad partisans who pack Neyland Stadium–the fifth-largest college football stadium in the country–for home games will continue to ride with Big Orange. 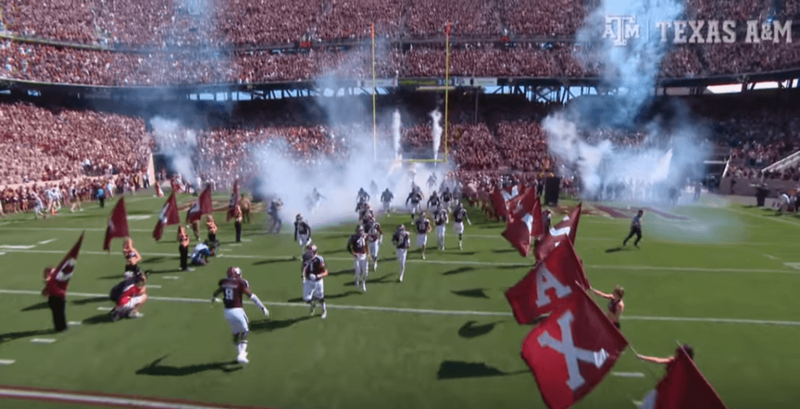 The Aggies don’t have as rich a football tradition as their in-state rival Texas, but their fan base matches up. Kyle Field is the fourth-largest college football stadium in the country, and the fans pack it to the brim. A&M was fifth in home attendance last season, averaging over 98,000 fans a game. Add in the “12th Man” and “Aggie War Hymn” traditions and you have a fan base worthy of inclusion on our list. Texas A&M fans are even more excited heading into 2018 with new head coach Jimbo Fisher at the helm. The Tigers have fallen behind Alabama and Auburn in the SEC West but their fans remain fervent. Tiger Stadium has the sixth-highest capacity of any college football stadium and remains as hostile an environment as you’re going to find in the sport. 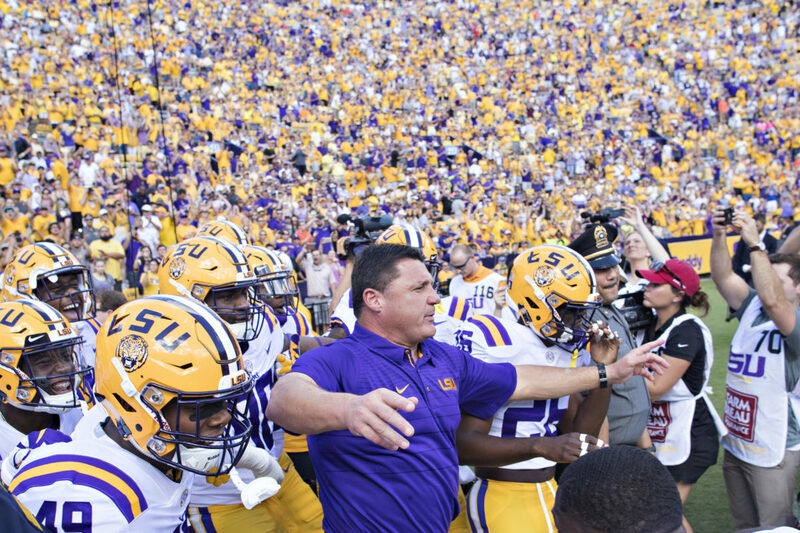 LSU fans can also root for one of their own right now, as fellow Cajun Ed Orgeron is the Tigers’ head coach. Orgeron is 15-6 in his one-plus seasons as head coach, with a pair of Citrus Bowl appearances. The Tiger faithful will pack Death Valley to the brim in the hopes that he or someone else can lead LSU back to national title contention. The fourth-straight SEC program on this list. You might be noticing a trend here. Auburn was 13th nationally in road attendance but fourth in total games. Auburn fans travel, and their passion has to be constant to keep up with rival Alabama in a football-crazed state. 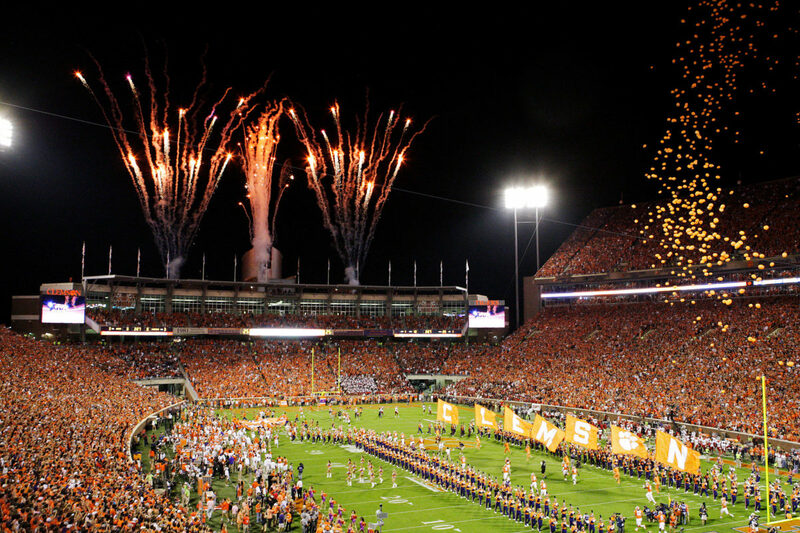 The Tigers took down their rivals in 2017, but suffered a bitter loss to Georgia in the SEC Championship Game. AU supporters will pack Jordan-Hare Stadium as their team takes another crack at the College Football Playoff this fall. 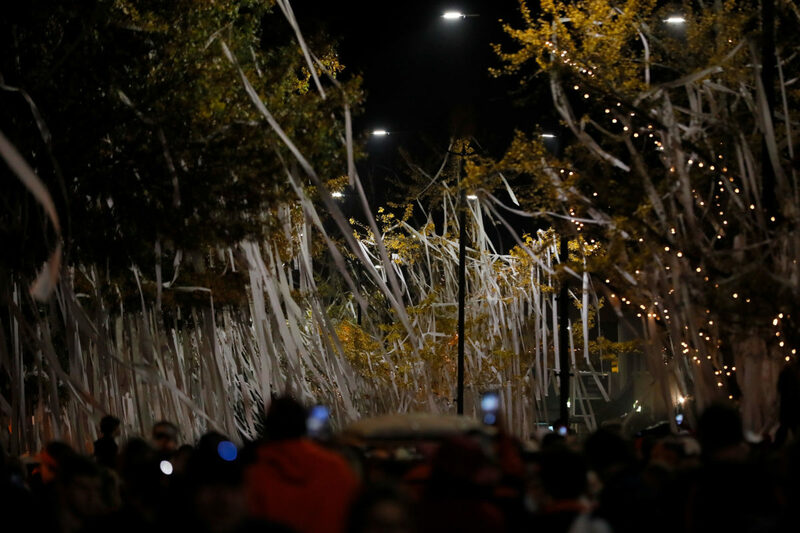 In the meantime, here’s a picture of Toomer’s Corner after last year’s Alabama game. Penn State fans pack Beaver Stadium every weekend to show their support. It is why the team ranks near the top of the attendance figures every year. 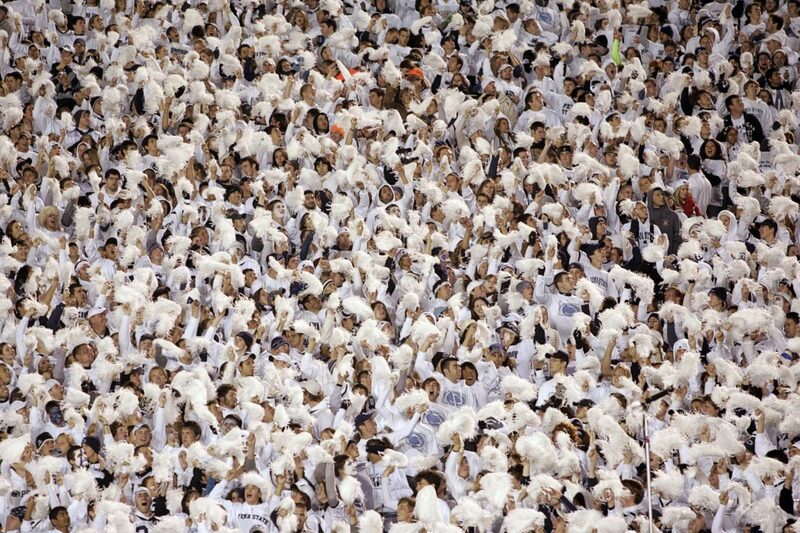 The annual “White Out” game is one of the cooler traditions in college football. In recent years, the Nittany Lions have picked up a number of big wins at home, including against Ohio State in 2016. It isn’t just in person where PSU loyalists can be found. Penn State fans maintain an active presence on social media as well. The Tigers have made three-straight College Football Playoffs and won it all in 2016. Dabo Swinney has the program humming. Clemson also has a pair of top-notch game day traditions in Howard’s Rock and the team running down the hill. You might get chills watching them. Clemson fans stayed loyal as the team struggled through two decades worth of mediocrity until 2011 and the stereotype of “Clemsoning.” They are certainly reaping the benefits now. The Sooners have been the class of the Big 12 for some time now, and their fan base matches the program’s national stature as well. 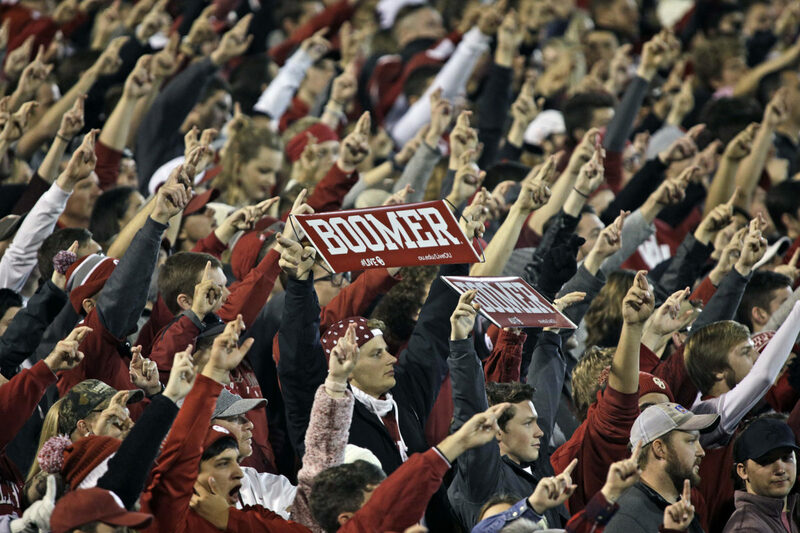 Oklahoma consistently fills Gaylord Family Oklahoma Memorial Stadium, averaging over 86,000 fans per game. That’s good for 12th nationally. With a team always in the running for the national title and a recent Heisman Trophy winner, they have been treated to a lot of success. Notre Dame was only 17th in total and home attendance last year. The Fighting Irish were shown up a little by Georgia fans who painted Notre Dame Stadium red during the Bulldogs’ trip to South Bend in 2017. 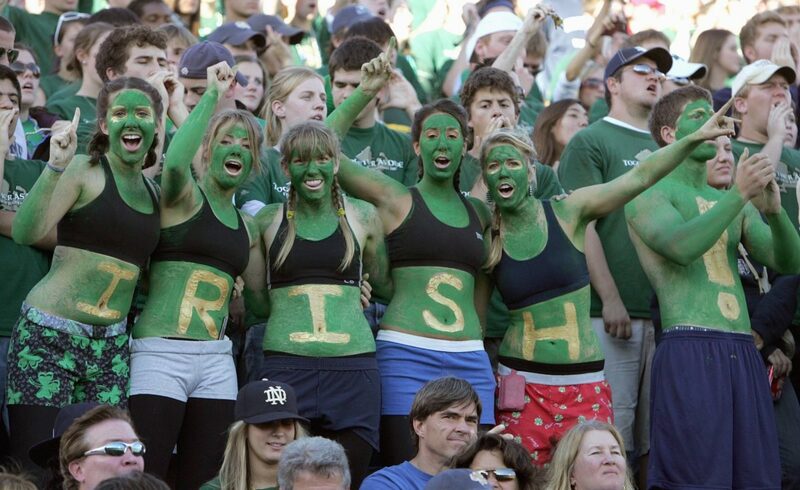 But Notre Dame’s fan base isn’t just confined to those who are able to attend home games. The Irish are a nationwide fan base, and the various “subway alumni” all over the country are fiercely loyal. Notre Dame fans may long for the program’s first national title in 30 years, but they will continue to support their beloved Irish from near or far every Saturday. The Wolverines play in the “Big House,” which is usually a daunting trip for opponents. 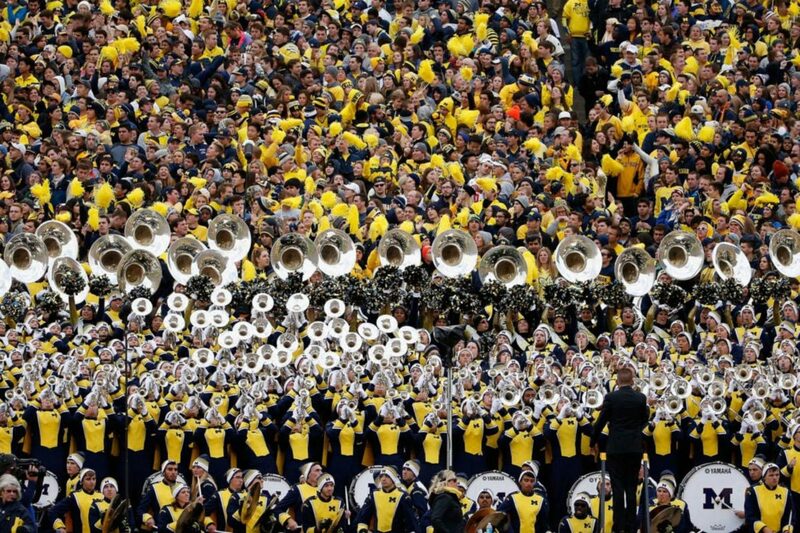 Michigan fans topped the nation in home attendance in 2017, averaging over 111,000 fans per contest. Jim Harbaugh re-energized his alma mater when he took over the program after the 2014 season, but now it is time to deliver some more results on the field. Even if he fails to do so, Michigan should continue to be one of the top fan bases in college football for the foreseeable future. Georgia fans haven’t won a national title since 1980, though the Bulldogs came painfully close last season. Even another crushing loss can’t break the resolve of Georgia fans, who love their team unconditionally. 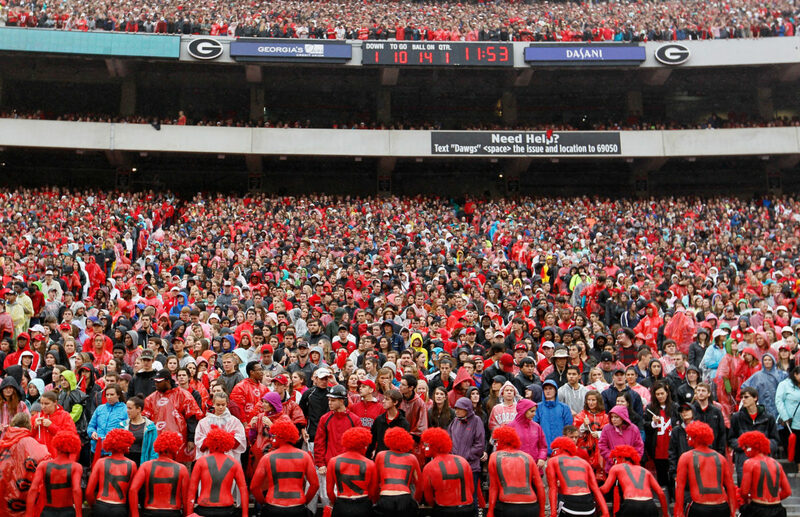 Sanford Stadium had the ninth-best home attendance in the country in 2017. Georgia, however, was second in overall attendance. Bulldog fans traveled extremely well, particularly when they took over South Bend for the team’s pivotal September non-conference game against Notre Dame. The Crimson Tide are the national champions and the best program in the country. If you didn’t know that, don’t worry. Their fans will make you aware of it. Bryant-Denny Stadium is one of the top home environments in college football, but Alabama fans bring it outside of friendly confines. Just listen to the ones that are on social media or call into talk radio shows. With Nick Saban still at the helm, it doesn’t look like those fans will be quiet any time soon. The Buckeyes are one of the top teams in the country on a yearly basis. Not surprisingly, they have the fan base to back that up. 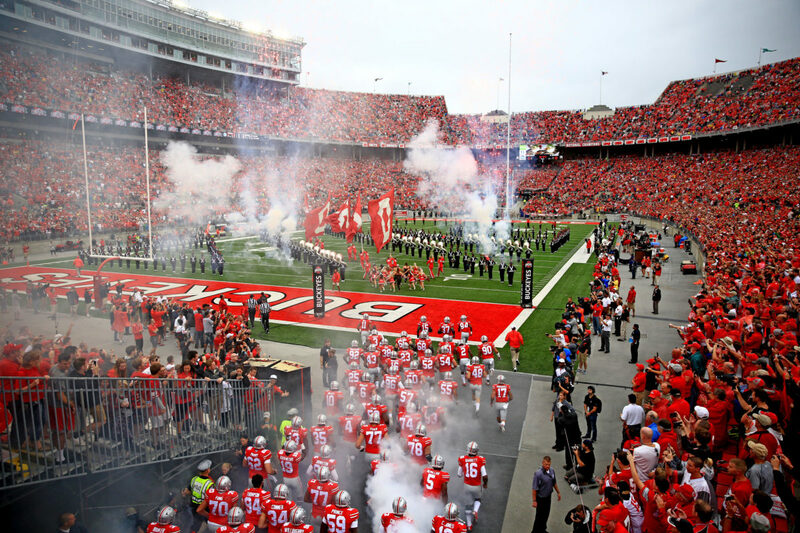 Ohio State was tops in total attendance last season and second in home attendance in 2017. Ask Penn State and Michigan State what it was like to play at Ohio Stadium last fall. At home, on the road, or wherever you meet them ,Buckeye fans are a loud and proud group. The Huskers don’t have nearly the same amount of recent success as most of the teams behind them on this list. That doesn’t stop fans from showing up. 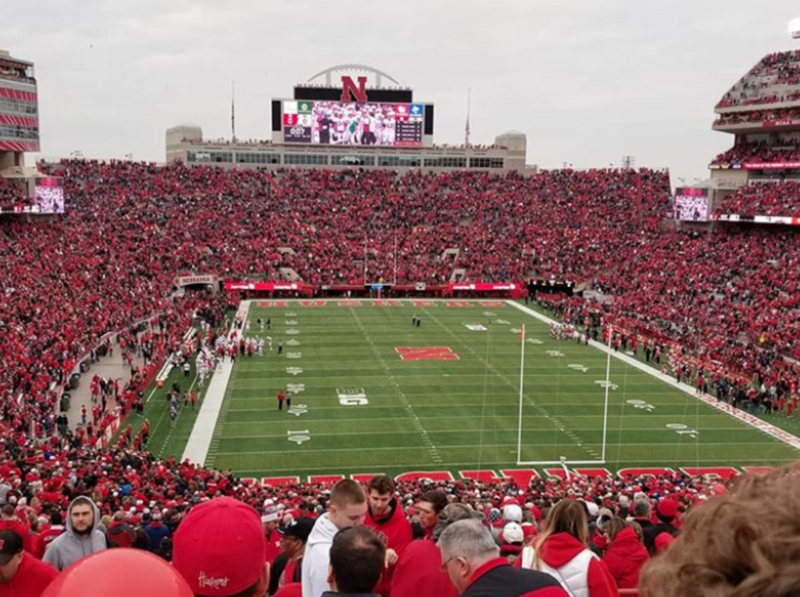 Seriously, not only does Nebraska have its iconic home sellout streak, but the Huskers sell out their spring game. That takes serious dedication. All you need to do is take one look at the Sea of Red inside Memorial Stadium on a home Saturday and you can see the loyalty in the fan base. That’s part of the reason Nebraska supporters were so excited to welcome alum Scott Frost back to Lincoln has head coach.